Ever wonder why a restaurant becomes one of your favorites? When I think back to places I have loved to eat, one restaurant is always on my list. Not because of any special dish they served, but because of the basket of little warm cinnamon rolls they would bring to the table. Melt in your mouth and Simply Delicious Cinnamon Rolls! The restaurant is long since gone …. But my love of those cinnamon rolls is certainly still here to stay. 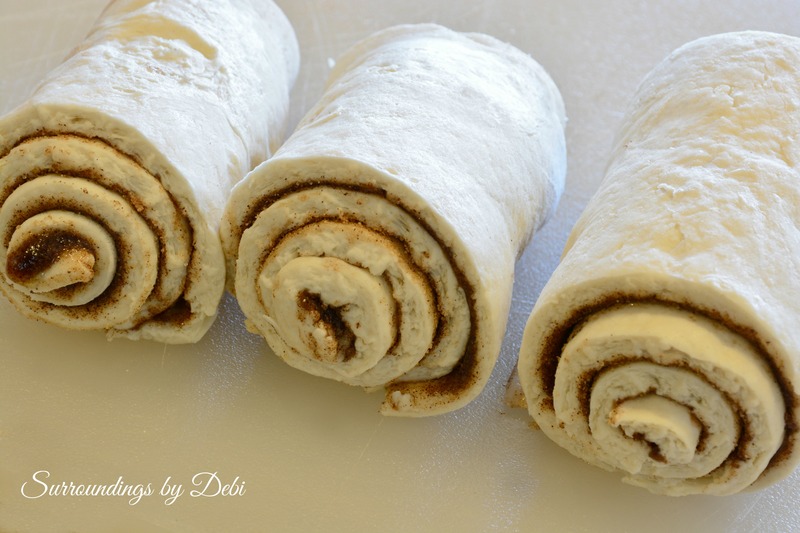 Today I am going to recreate those wonderful cinnamon rolls using just a few simple ingredients. Begin by softening the package of yeast in ¾ cup of the warm water. 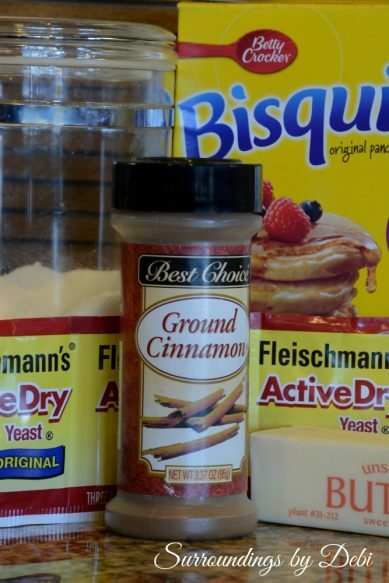 Add the 5 ½ cups of Bisquick and the remaining warm water to the softened yeast and mix. 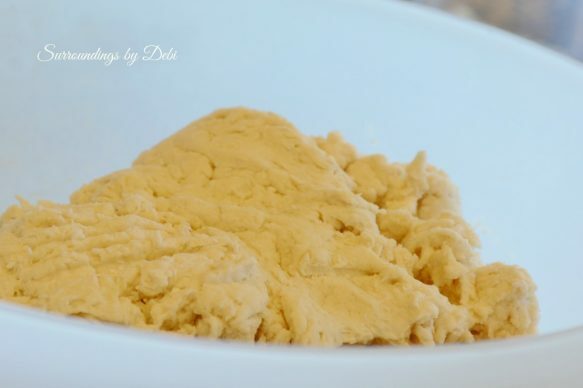 Divide the dough mixture in half. 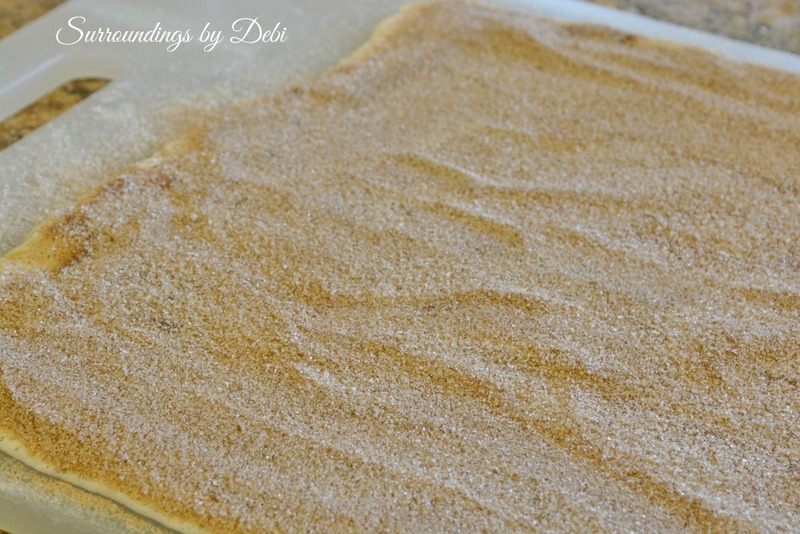 Roll one half into a rectangle and brush with melted butter. Sprinkle the cinnamon – sugar mixture liberally over the buttered dough. 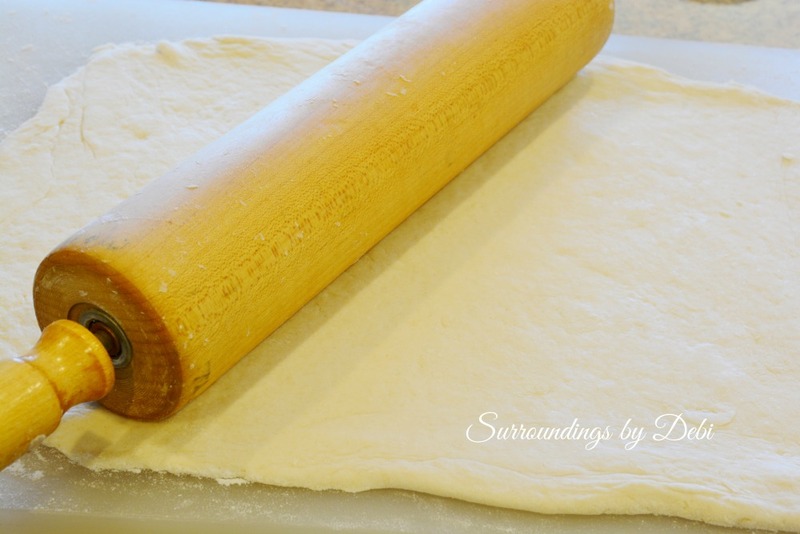 Cut the rectangle lengthwise into thirds and roll up each third. 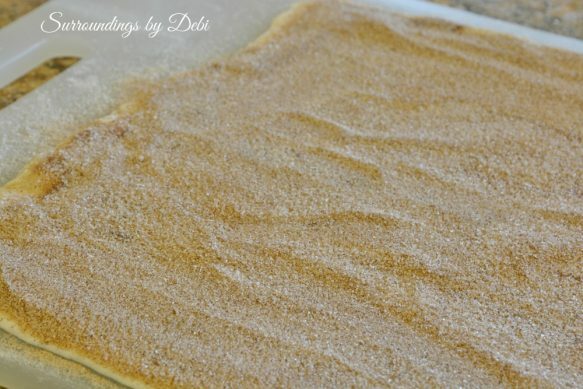 Slice into 1 inch pieces and place on greased baking pan. 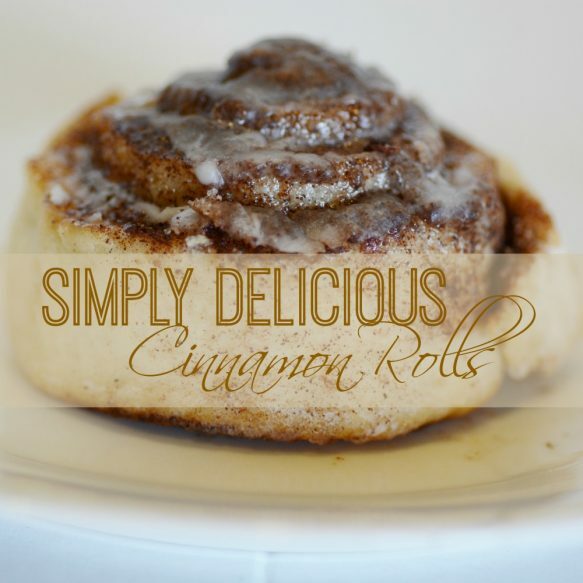 Brush each roll with melted butter and sprinkle with the cinnamon – sugar mixture. 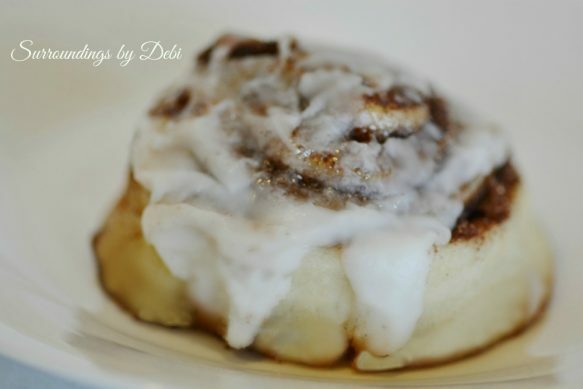 These are delicious served as is right out of the oven or topped with icing. 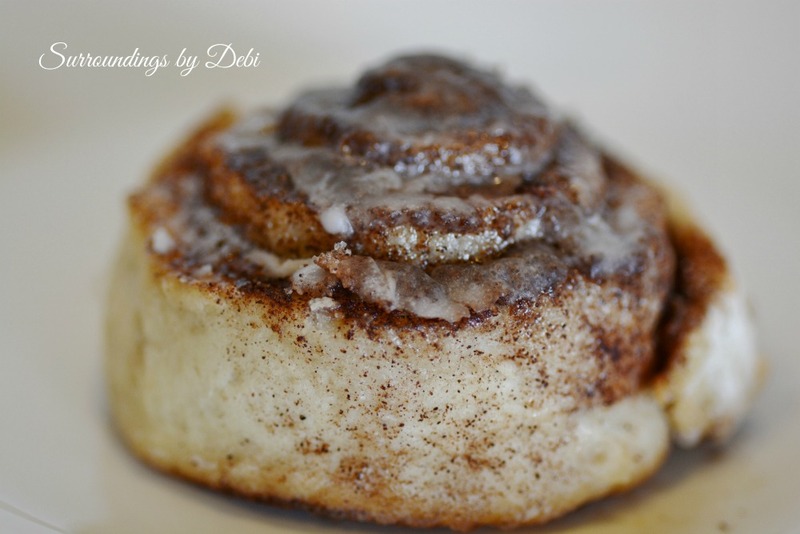 I have used a thin icing drizzled over the top of each cinnamon roll or topped with a thicker icing that melts onto the warm rolls. Either way you choose to serve your rolls, they are sure to be Simply Delicious! 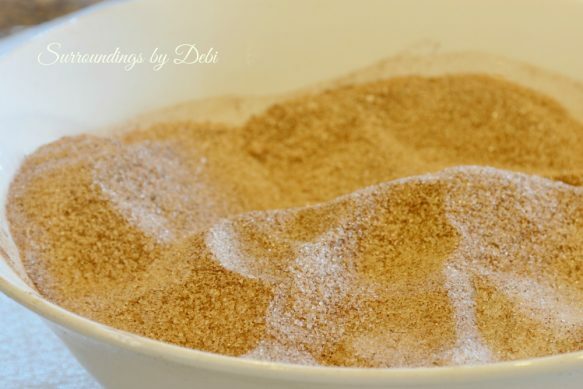 If you liked this easy recipe, help me grow this blog by sharing this post on Facebook, Twitter, Pinterest, Google + or all of them, simply by clicking the icons below. These cinnamon rolls are easy to make and simply delicious! Eat as is or top with an icing of your choice. Thank you Helen. I will pop over and check it out. I love your party! 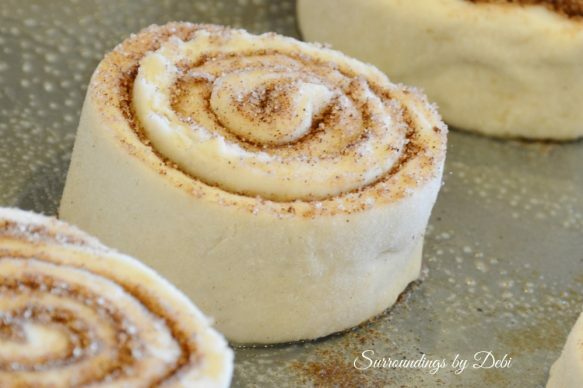 What a great cinnamon roll, I will give these a try. Thanks so much for sharing with Full Plate Thursday and have a great week. Thank you Helen. They were a hit in this house! Does anything taste like Gma Dot’s? Hers were made with love – that was her own special ingredient and no one can replicate that!